A challenging and increasingly important type of data is networks of entities and their relationships. Networks are widely used across diverse disciplines to reason about complex behavior. These analyses involve understanding relationships, as well as associated attributes, statistics, or groupings. 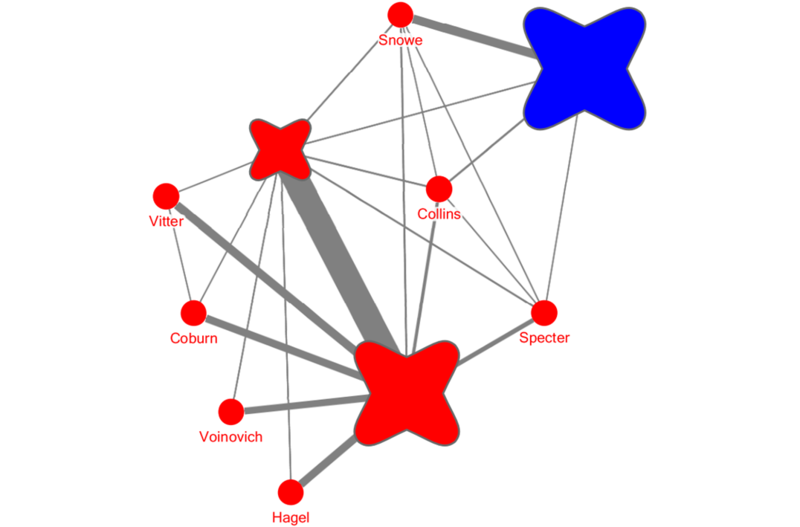 The omnipresent node-link visualization excels at showing topology and features simultaneously, but many are difficult to extract meaning from due to poor layout or shoehorning inherent complexity into limited space. The first part of my talk will detail techniques for measuring the readability of node-link visualizations and strategies to help users create more effective and understandable visualizations. Professor Cody Dunne works at the intersection of information visualization, network science, human-computer interaction, and computer science. He focuses on techniques for making data easier to analyze and share, as well as the application of visualization techniques to real-world problems. Dr. Dunne is currently researching ways to improve the readability of network visualizations as well as developing the next generation of tools for visually exploring, sharing, and collaborating around data and analysis workflows. Some domains Dr. Dunne has worked on include visualizing concepts from medical records, the spread of infectious diseases, citations in academic literature, interactions of people and organizations, relationships in archaeological dig sites, news term co-occurrence, thesaurus category relationships, municipal energy use, and computer network traffic flow. Prior to joining Northeastern, Dr. Dunne was a research scientist in IBM Watson Health, IBM Watson, and IBM Research. Dr. Dunne received his PhD and MS degrees in computer science under Ben Shneiderman at the University of Maryland Human-Computer Interaction Lab in 2013 and 2009, respectively. He earned a B.A. degree in computer science and mathematics from Cornell College in 2007.